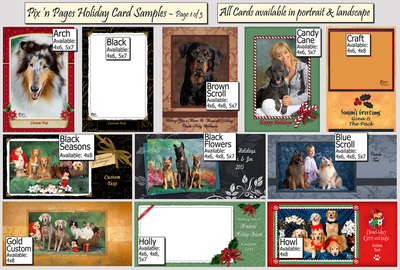 Holiday Cards: Click any image to see larger view. 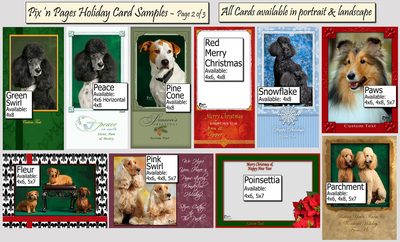 Holiday Photo Cards feature photos in a festive seasonal design. 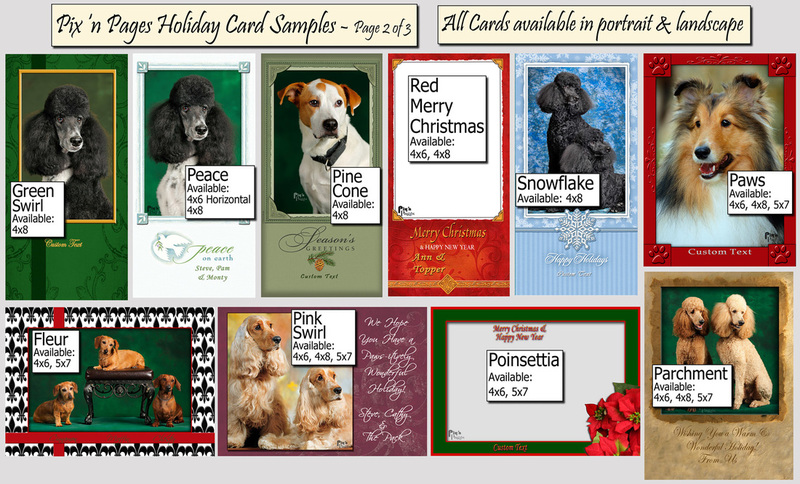 Each card includes space for a personal message (no extra charge) and comes in vertical and horizontal formats. White envelopes are included (unless noted). These are not folded cards or photo insert cards - the photo, border and message are printed on photo paper. Custom 4x6 and 5x7 flat cards are also available. 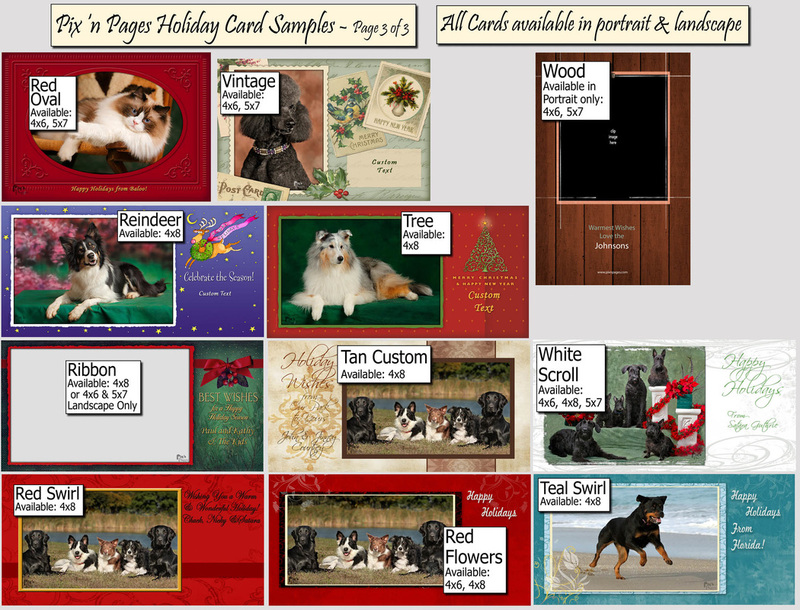 Folded 4x5.5 and 5x7 cards on standard or pearlized paper are also available in any design (that shows availability in 4x6 or 5x7)! Very beautiful, these can have an image and border on the front cover, a designed interior and back to match the front border and writing preprinted on the inside. We can also add an additional image to the inside front cover (additional charge). To order, just add them to your regular order form, noting the card number, image number you'd like in it and what you'd like written for your personalized text. We will notify you via email when your order goes in the mail, about 4-6 weeks after ordering. Rush processing is available for an additional 25% for 2 weeks, 50% for one week turnaround. Mail completed form to the address on the form with a check. Or, you can phone us at 407.536.7297. We accept MasterCard, Visa, Paypal, checks and cash. All images are sent to a professional lab for true photographic processing and printing. Because of the individual attention given to each photograph and due to the fact that we use only approved professional labs, your order may take 4 weeks to arrive at your home. We archive all images, so any image we've ever taken is still available for ordering.